Fayez Barakat paints at night. By day he is an overtly busy man; a renowned antiques dealer and gallery owner, he has been immersed in the art world his entire life. He heads up the Barakat Galleries which were founded in Jerusalem over 125 years ago, and has spent invaluable time with great artists like Picasso and Chagall back in the 1960s. 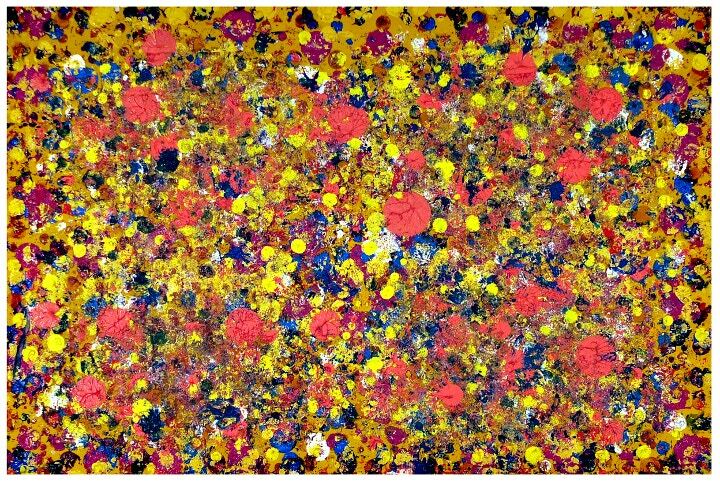 Despite the fact that he has been making art since he was two years old, Barakat’s own paintings are relatively unknown, only coming to light in recent years. 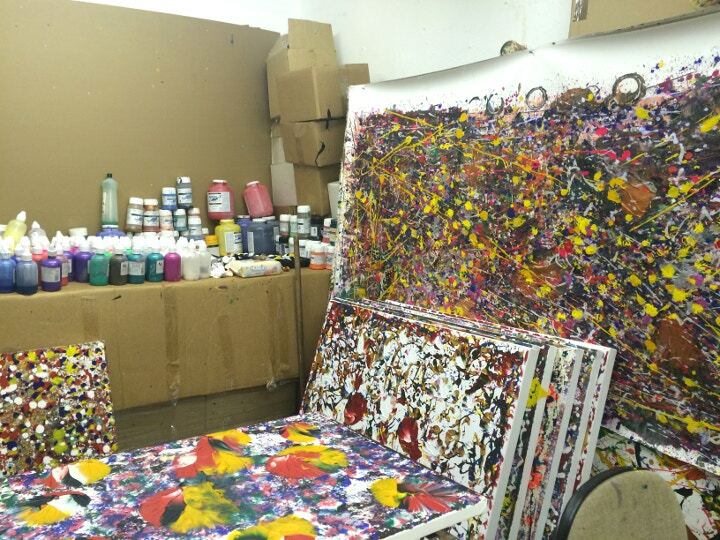 Perhaps this is because he rises in the middle of the night to paint in numerous studios dotted around the world. He is an artist with a real transient need to create; he explores painting of all forms, across all manner of styles and mediums, embracing the human need to make things and express oneself. But for what reason? For spiritual growth? For creative catharsis? Or just because he can, because he loves it, and because it brings him indefinable joy? "Every artist is driven to paint based on a vision, a dream of something that exists within oneself, that is to be shared with the viewer," he explains, when asked why he paints. "But what motivates me? Many different facets. When I paint I run away within myself, and I suppose that is a confession in a way. When I excel at a technique, something that started as escapism becomes a form of art which I need to perfect and then portray to the rest of the world." 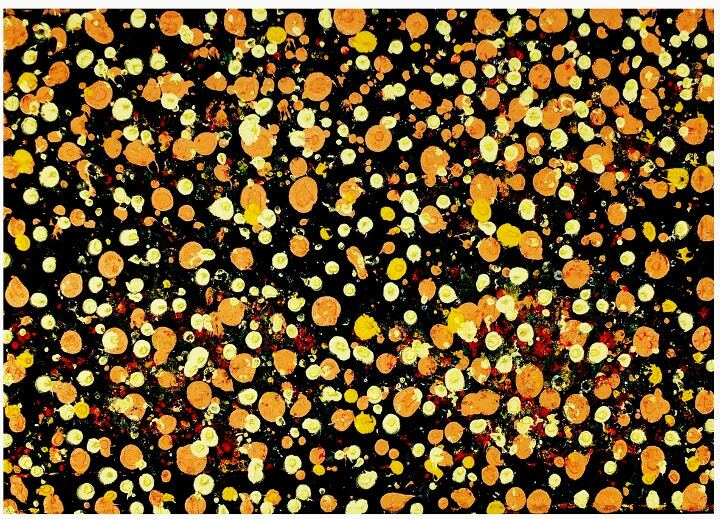 Born and raised in Jerusalem, Barakat expanded the family galleries to London, Beverly Hills, California and Dubai, and in 2014 he exhibited his work in Jordan for the first time. He has been painting prolifically (and in private) for thirty years now, in studios in Jordan, North America and the United Arab Emirates. Canvases cover the floors of his basement studio in London, stacked in their hundreds against the walls and sporting bright colours and marks of all kinds. Barakat speaks of spiritual satisfaction when asked about completing a painting. 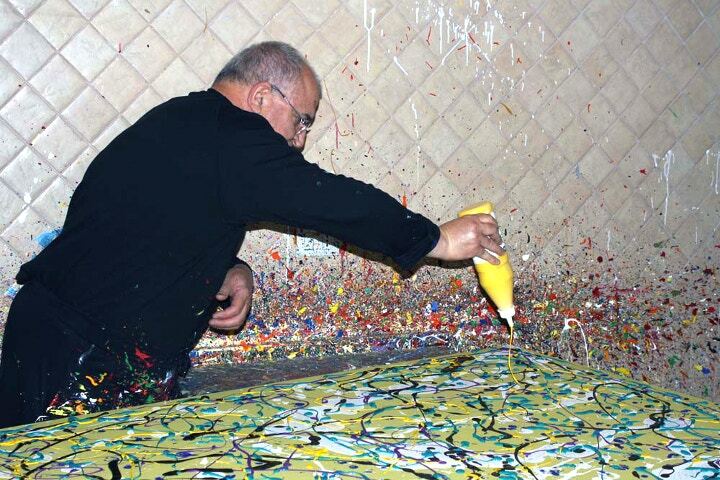 "I try to go into a trance when I paint," he explains. "Even though it’s a blank canvas I try to elevate myself to achieve what a meditator achieves – a blankness, a void. In that process one will experience all kinds of stimulants or nuances or visualisations of unrealised dreams. But we build on accomplished dreams to further accomplish higher dreams. Notions and movement of certain colours can transcend me to a certain level." He returns to his paintings across several years, adding layers and perfecting them until he feels they are finished. And how does he know when a painting is finished? "I feel a palpitation of the heart," he says. 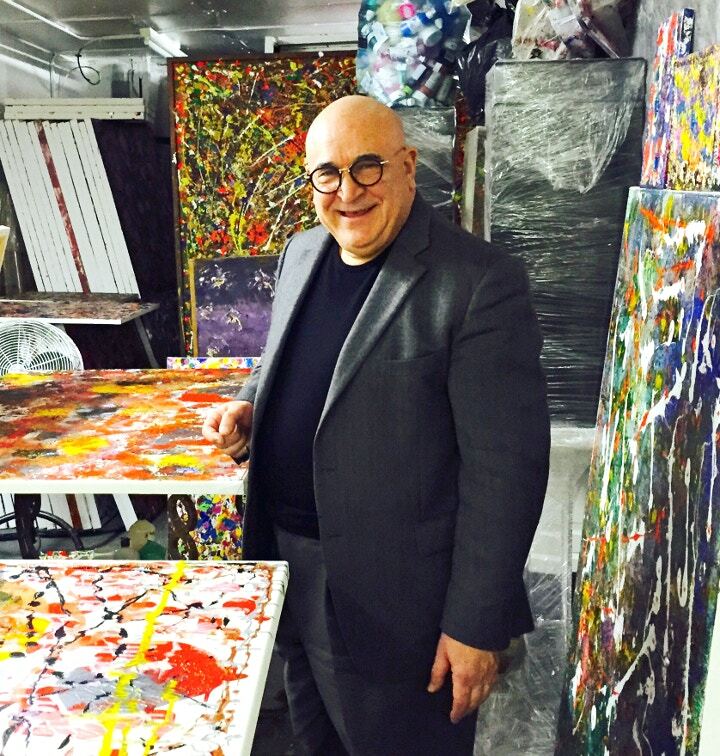 Despite his meditative techniques, and his passion for traversing all artistic mediums and styles, Barakat is most known for his pursuit of abstract painting. His work can be likened to the masters of modern painting; Claude Monet, Mark Rothko, Henri Matisse and Cy Twombly among many others. He paints mainly onto canvas with oil and acrylic paint, though he believes that every artist should experiment and continue to challenge themselves when it comes to materials. He tells the amusing story of when he met Pablo Picasso when the artist visited his father’s gallery in Jerusalem in 1967, accompanied by the mayor of Jerusalem. He didn’t know who either of them were at the time - and Picasso made him a drawing that he regrettably threw away. "He was speaking French and praising all the African art," Barakat recalls with a smile. "I tried to get him to enjoy the Egyptian or Roman art that we had on offer but he told me not to belittle the African artefacts. He opened my eyes to start collecting African art, and I started learning about African art and their tribes, the mythology, theology and traditions of it all. Art is to them a sacred feeling." As well as his love for antiques and painting, his instinctual need for creation and a historical involvement in the art world, Barakat also has a commitment to sharing his artistic vision, especially with those who may otherwise not have been exposed to art. This comes back to his Middle Eastern roots, and his recent exhibition at the Zara Centre in Jordan, where he organised for schools to come and tour the art galleries and make their own artwork on the floor. The artist believes that the Middle East could hugely benefit from more exposure to art and hopes to bring about some change with these kinds of steps. “By exposing children to art, I hope that we can pique their interests in the arts and get them involved. I would like art to become less of a luxury and more of a necessity in Jordan,” he says. Barakat also makes the good point that painting so obsessively is not always enjoyable. "It's not always a pleasant experience; it can be extremely frustrating and painful. But you must divert pain into some form of pleasure, to create something fantastic and powerful." He explains the sheer happiness that painting can bring, and the hope that viewers are experiencing at least a little of the jubilation he finds in the act of making. Between his championing of Middle Eastern art, prestigious family antique collection and meditative process of art-making, Fayez Barakat is an artist worth celebrating. Despite being occupied managing three major galleries around the world, he always makes the time to paint, to continue his journey of abstraction and discover things afresh with every brushstroke. And surely, that’s what being an artist all is about – picking up a paintbrush whenever, and wherever, the moment takes you. Even if it is in the middle of the night. 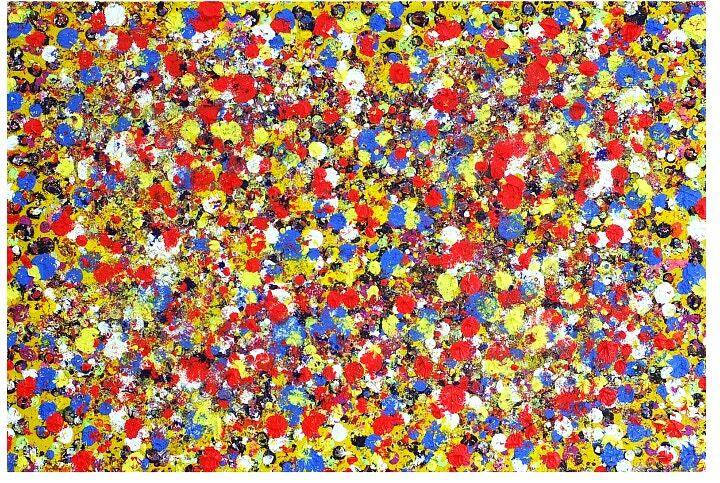 Visit Fayez Barakat's website to view more of his abstract paintings, and the Barakat Galleries website to explore the Barakat family collection. Shop for acrylic paint, oil paint and canvases both online and in-store at Cass Art to pursue your own creations.